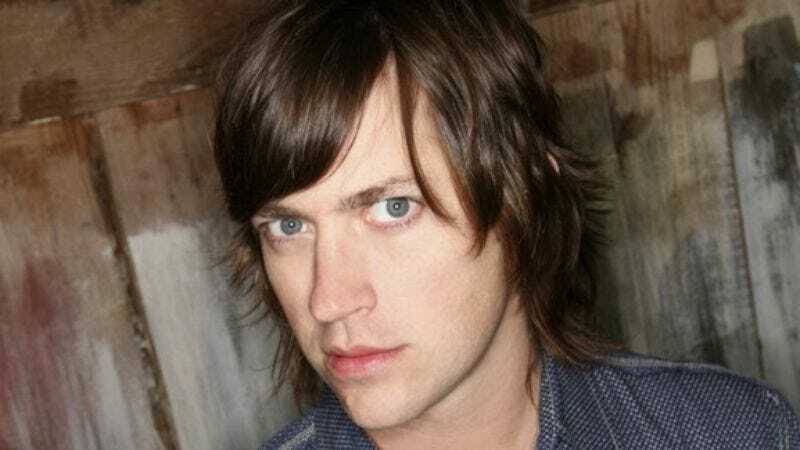 Rhett Miller spent much of the '90s as the frontman for alt-country stalwarts Old 97's. However, after the 2001 release of the band's most commercially successful album to that point, Satellite Rides, Miller shifted his focus to new pursuits, including fatherhood and the 2002 solo album The Instigator. The band's hiatus didn't stick—it regrouped in 2004 with Drag It Up—but Miller has continued to perform and record under his own name, releasing a self-titled third (post-Old 97's) solo album earlier this year. Prior to his performance Thursday night at The Black Cat, Miller sat down with The A.V. Club to talk about breaking from a certain album-titling motif, whether or not he's aged well, and why he stopped Googling himself. The A.V. Club: Rhett Miller feels like your most personal record to date. Was that a factor in your decision to self-title it? RM: I had a few different titles that I thought that I was really considering. The Hamlet Of Wallkill, I liked that a lot. The Magician. But it felt like a different kind of record, and maybe it's not obvious to the listener, but there's a kind of fundamental difference in the way I approach the writing and even the recording of it. AVC: Even your voice feels a lot more fragile on this one. RM: That started over the last couple of years. I kind of realized that I've always been such a live, nightclub singer, where I'm kind of yelling over a band, and I realized that my favorite vocalists tend to sing pretty quietly, and be mic'd pretty close. It started on [Old 97's album] Blame It On Gravity. If you listen to the song “Oh Baby I,” you can hear it. It's a pretty quiet vocal performance, and I've fallen in love with that. I don't picture myself as the world's greatest singer, but I do love singing. I love the melody that should be in the voice while it's singing. If I'm screaming too much, that gets lost. So I'm learning to not scream as much. AVC: It's a change of pace on a few levels, not just breaking from the pattern of The Instigator and The Believer. AVC: Does the Internet response to your stuff get to you? AVC: It's interesting to think that what a person says on a blog is going to stick with an artist for some time. RM: Yeah. I bet that's even true for hugely famous people. I know people that are pretty famous rock stars and they see that stuff too. They're not living some alternate reality where there's no Google and there's no Internet buzz. They hear it, and they're people. And it hurts their feelings. You try not to let it—it's part of the job. I'm very lucky that I get to be in front of a lot of people and get clapped at. But that's the neat thing, that I get to create for a living. But part of is that I have to put up with people having an opinion about it. Maybe they don't like it. Maybe they think I'm not aging well. They're gonna have opinions. It comes with the job. I try to be a nice, good person, and I try to live in a moral way and if somebody gets their feelings hurt or if somebody does think I'm a pig or whatever, so what? It's one person in the world. Okay. I know that I'm doing my best.